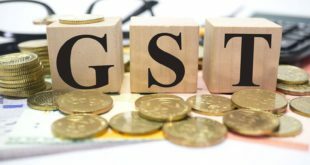 Home / Taxation / What Makes GST different from VAT and CST? Goods and Service Tax (GST) is a type of indirect tax that is levied on the sale of both goods and services. GST consolidates various taxes into one singular entity. It is imposed at every stage of the supply chain; thus, each and every participant in the supply chain has to pay tax. This ensures equity. Though it might seem like an unnecessary burden, you pay less since each payer is tax-credited for his payment. Say, you are a manufacturer of T-shirts. You buy raw material like cloth, sewing equipment and thread at a price of Rs. 300. This price includes a tax of Rs. 30, taking the tax rate to be 10%. You’re adding value to the materials, in the process of creating the T-shirts. Assume this value to be Rs. 100. The gross value of the product would then be Rs. 300 + Rs. 100 = Rs. 400. The tax on the output will be, therefore, Rs. 40. However, under GST, you can set off this tax (Rs. 40) against the tax you already paid on the raw material (Rs. 30). Therefore, the effective GST incidence on you will be Rs. 40 – Rs. 30 = Rs. 10. Thus, you save Rs. 30, under the GST scheme. Value Added Tax or VAT is an indirect tax levied only on goods sold within a particular state. VAT is imposed only on the value addition and not on the product itself. It is charged on goods immediately upon the preparation of the sale invoice or when goods are moved for sale. Here, tax is imposed on tax. Thus, it increases the cost of production. Central Sales Tax is a component of Value Added Tax. It is imposed only on goods sold from one state to another. Taxability: In GST, imposition is done both on goods and services. VAT and CST are imposed only on goods. Governing Act: A dual GST model will be implemented from 1st April, 2017, governed by the Constitution Bill, 2014. VAT is governed by the respective state Acts. CST is governed by Central Sales Tax Act, 1956. 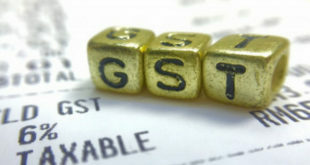 Chargeability: GST is imposed at the end stage of distribution of goods whereas VAT and CST are charged on sale of goods immediately on preparation of sales invoice or when goods are moved for sale. Tax set-offs: GST extends tax set-offs for every stage, on all central and state-level taxes and levies on all goods and services. Central VAT extends tax set-offs only against central excise duty and service tax paid up to the level of production. Similarly, state VAT covers only sales. CST does not cover tax set-offs for every tax unlike GST. Efficiency: GST subsumes several different taxes including value added tax, sales tax and service tax into a single tax. It saves time and lowers expenses for governments, producers and consumers. Implementation of GST will provide uniformity across the nation along with lowering the burden on producers as well as consumers. You have to pay tax only for the value addition at each stage, with set-off benefits for all the previous stages. You won’t have to pay a tax on taxes anymore. Previous How to Change your Address in Axis Bank Account ? Next How to update PAN Card in Axis Bank Account ? very useful information about gst.